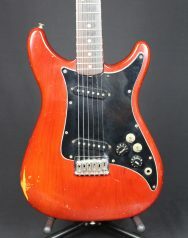 SKU: 582B. 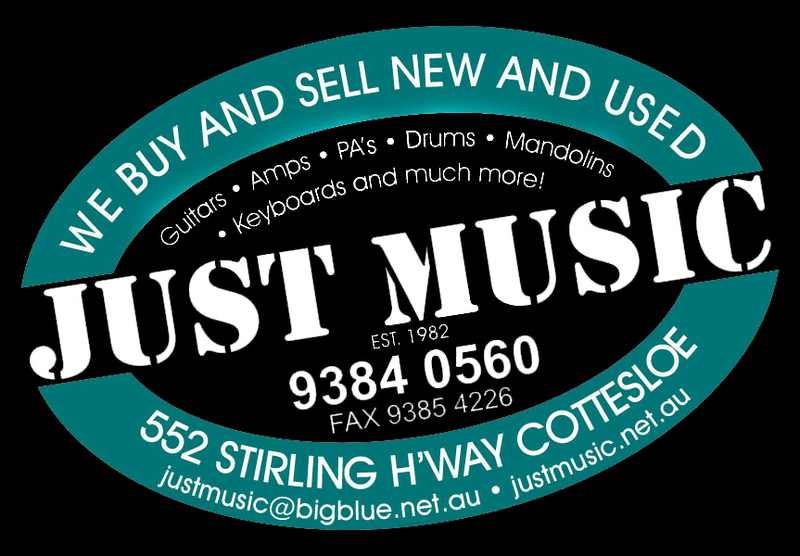 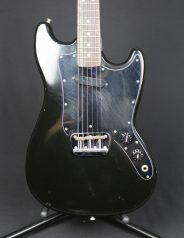 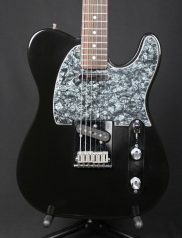 Categories: Electric Guitars, Fender, Vintage Guitars. 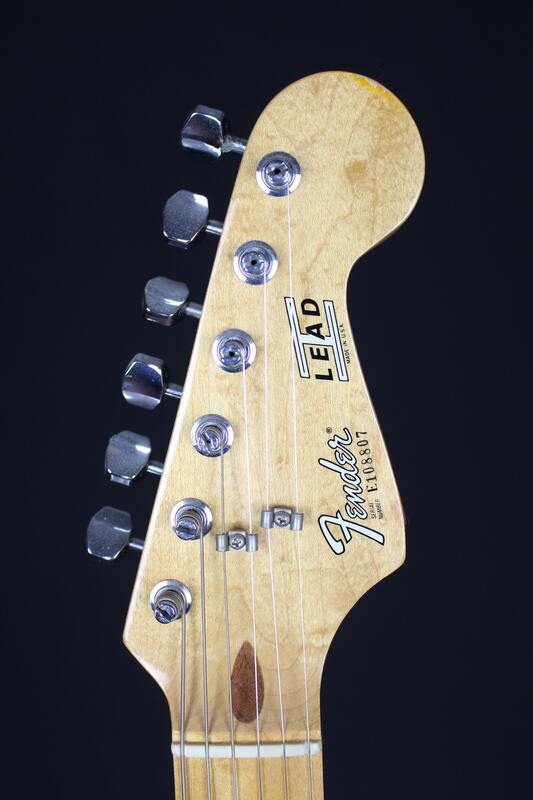 Tags: electric, Fender, Lead 1, U.S.A, vintage. 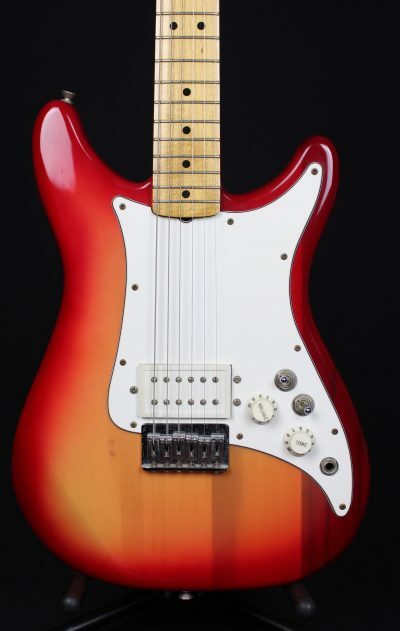 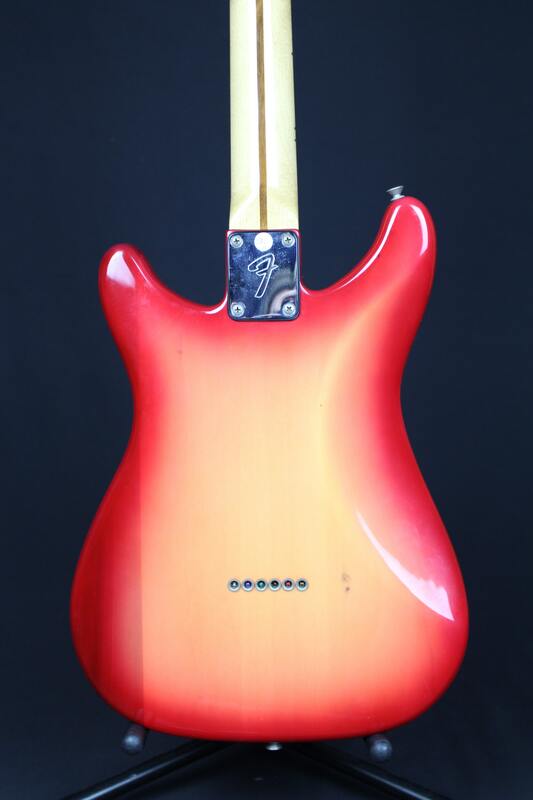 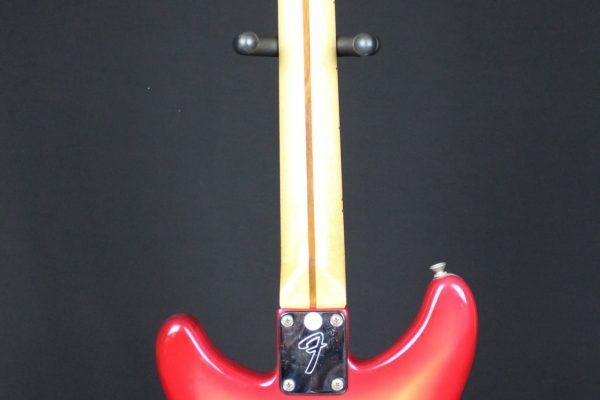 This is an all original 1981 USA made Fender lead in a transparent cherry sunburst finish. 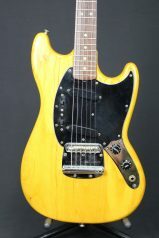 It’s in great condition with only very minor pick wear and buckle rash that have made light indentations but not broken the surface.Maple fingerboard and neck. 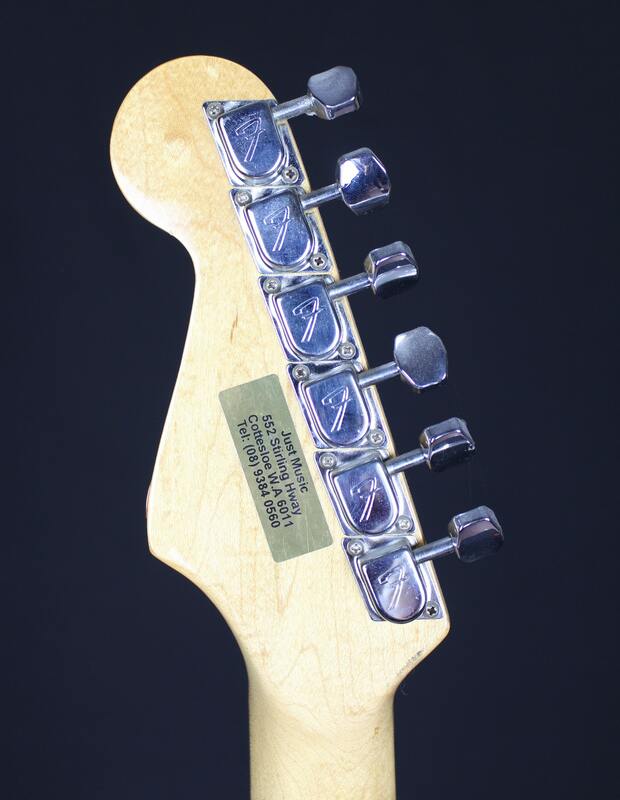 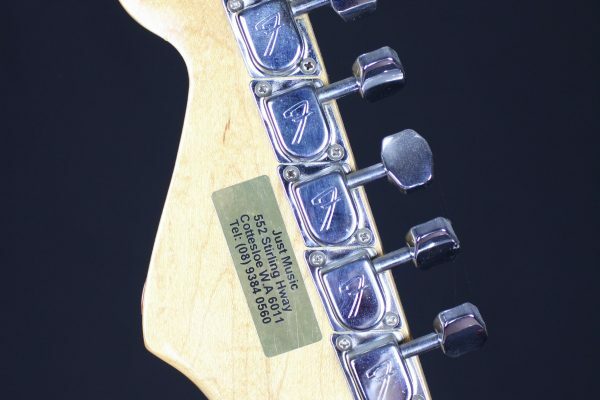 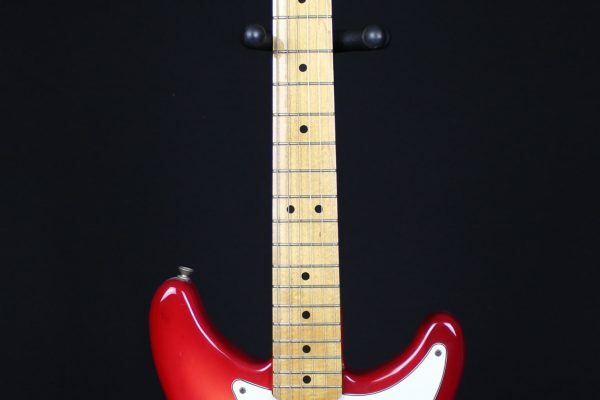 They resemble Fender Stratocasters in appearance, but have a unique set of features. 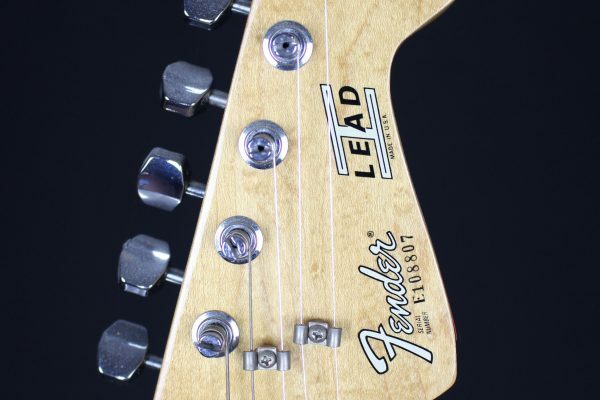 The Fender Lead I controls are unique. 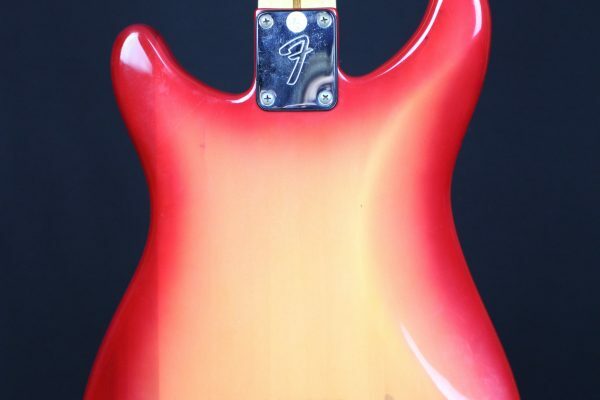 There is a 3 position pickup selector switch (Neck pickup, Neck & Bridge parallel mix, Bridge pickup) a phase switch, a master volume control, master tone control.